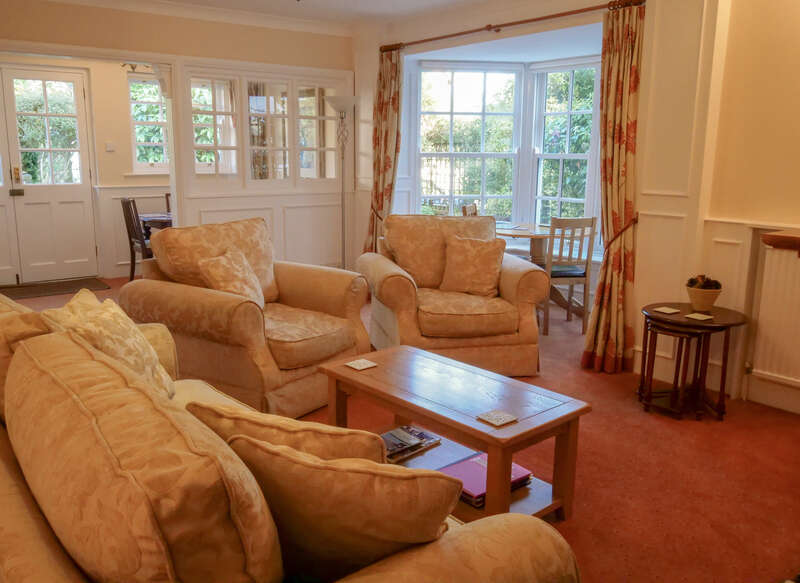 A spacious ground floor, 1 bedroom cottage, suitable for 2 people, with feature lounge. 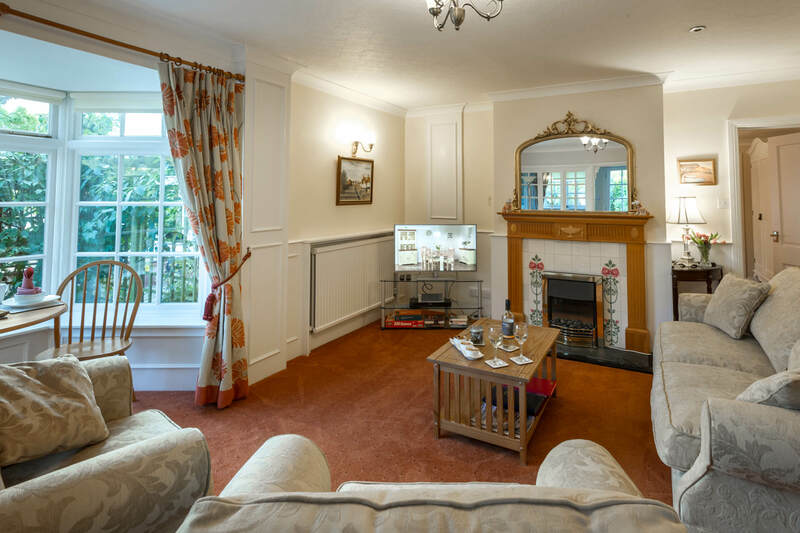 Bedroom has twin beds, which can be linked to produce a super king double. 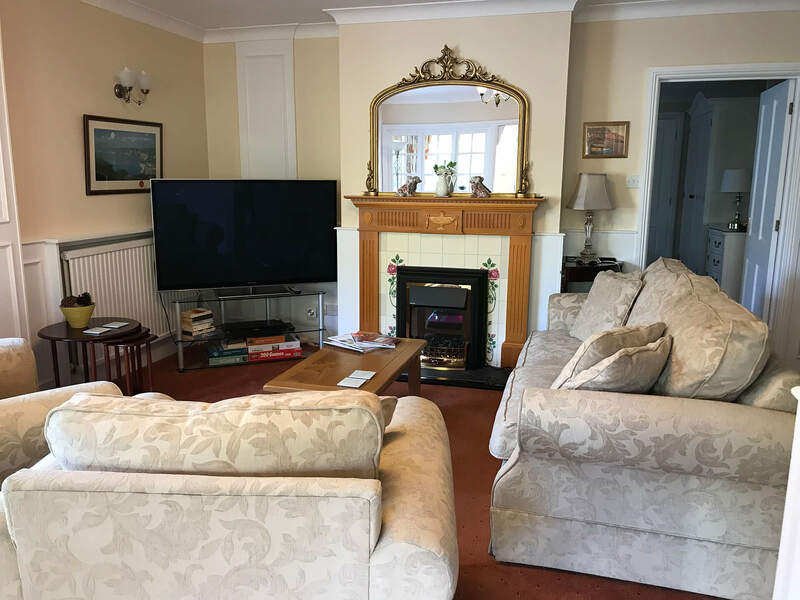 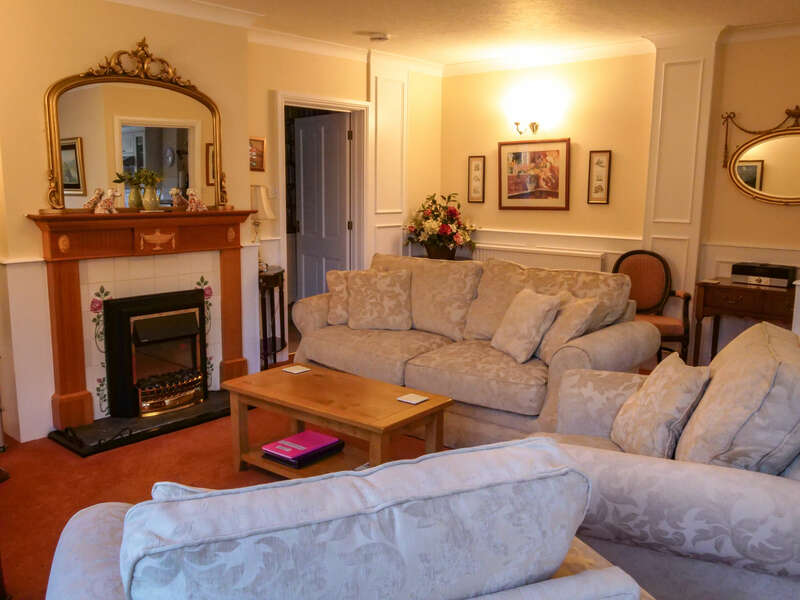 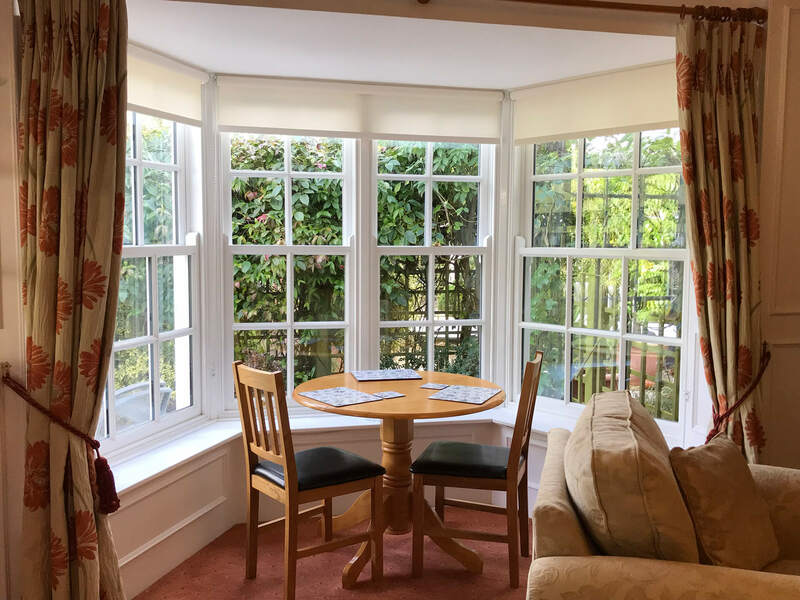 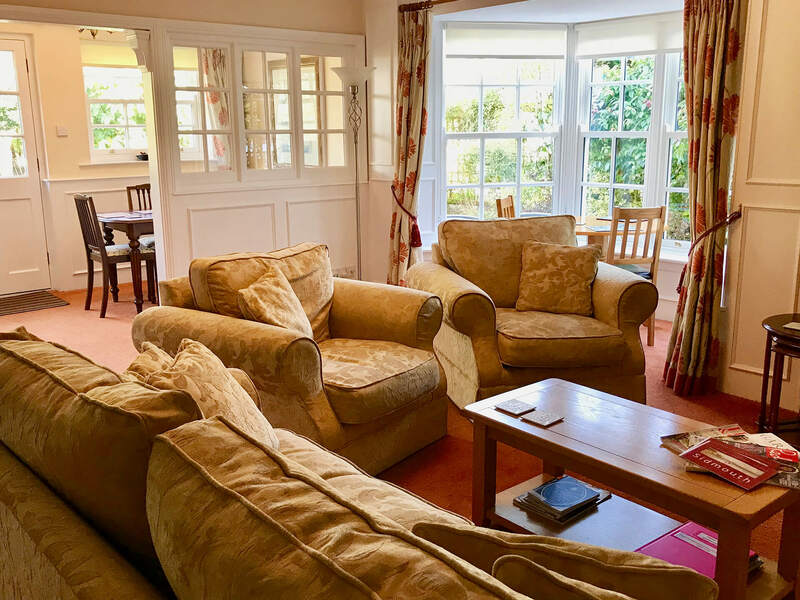 The ground floor centrally heated cottage has a spacious lounge where you can chill out on the comfy sofa while watching programmes on the 50 inch Smart TV as well as free WiFi. 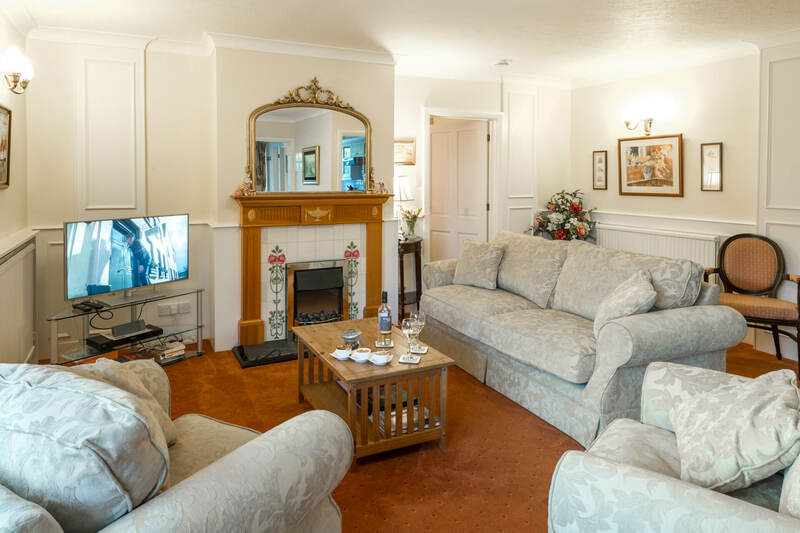 The lounge has a feature electric fireplace enabling you to enjoy the atmospheric glow and warmth of a real fire. 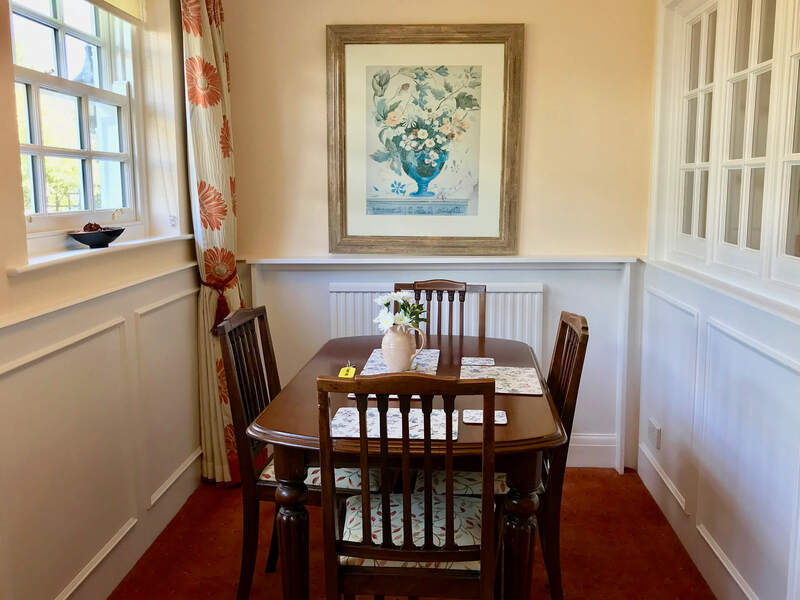 There is a separate formal dining area as well as a second dining table and chairs in the bay window. 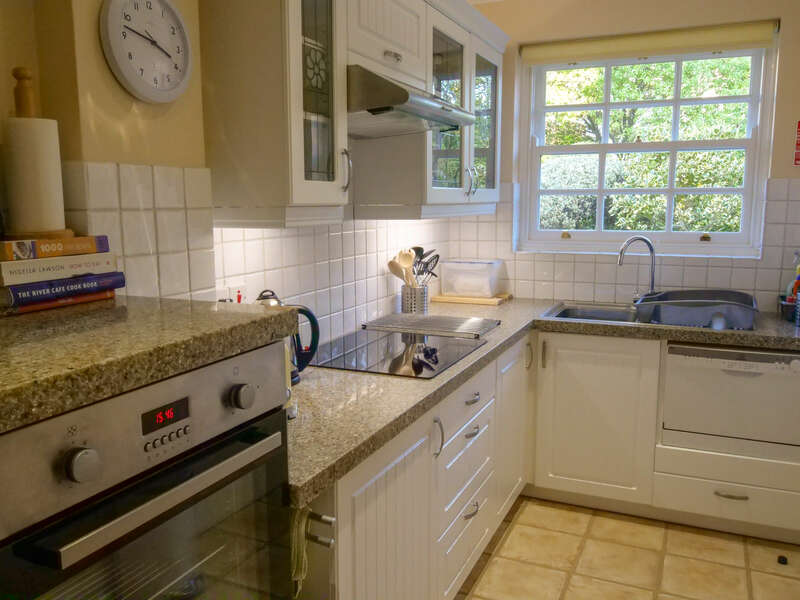 The kitchen has an electric oven and hob, fridge/freezer, microwave, and dishwasher. 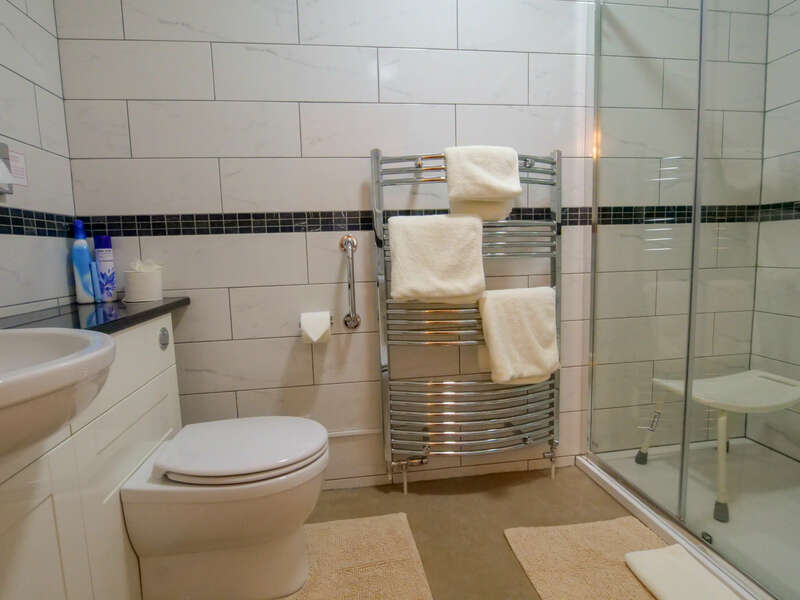 There is also a washing machine and gas dryer in the shared laundry room. 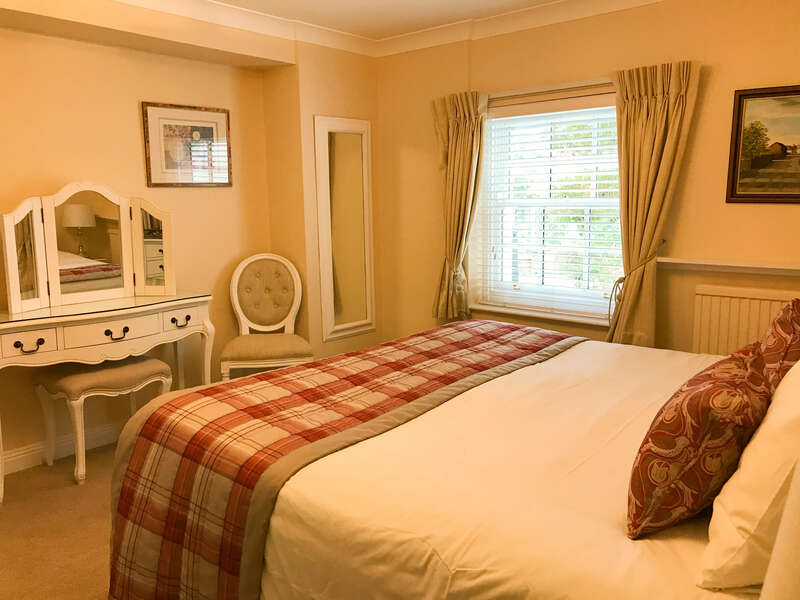 The bedroom has twin beds which can be linked to form a 6 ft. super king size bed and a large en-suite shower room. 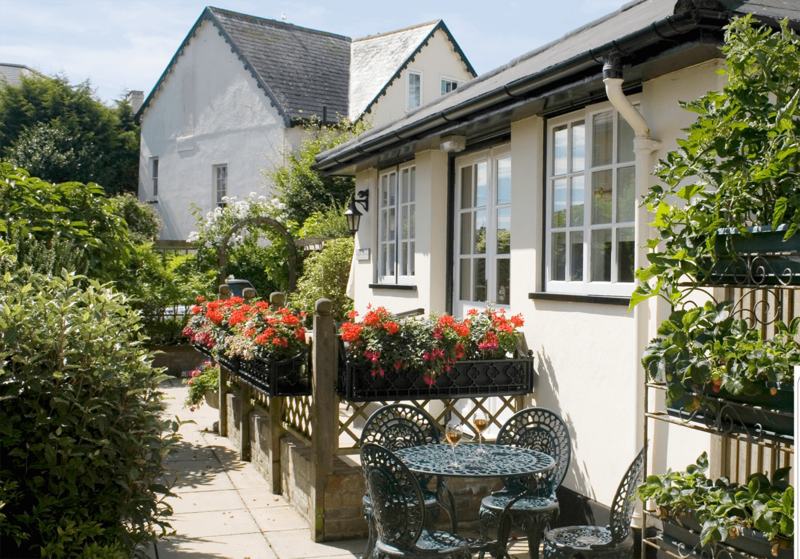 The cottage has its own outside seating area. 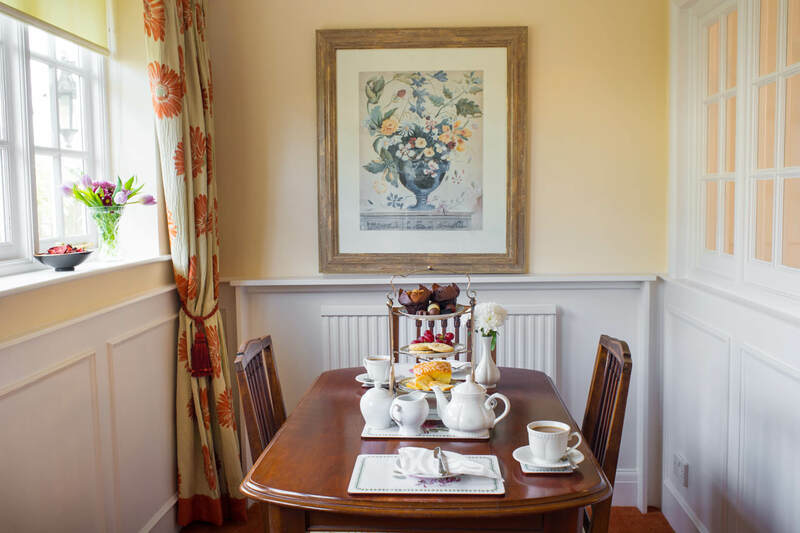 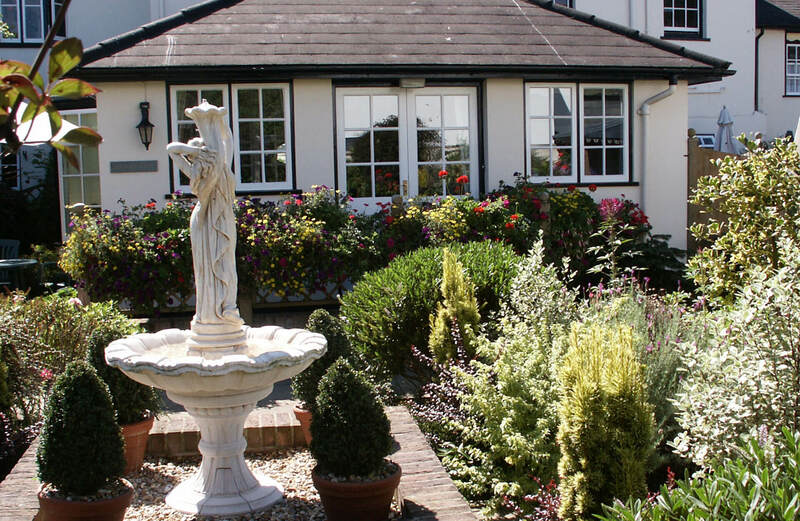 The owners reside within the complex and will be happy to offer assistance throughout your stay.